Celebrity. Photo courtesy of Nick Youngson. Recently, there was a cheating scandal between Jordyn Woods and Tristan Thompson. Woods was, until the incident, Kylie Jenner’s best friend. The two of them lived in the same house and even had a makeup line together. Thompson is a basketball player and was Khloe Kardashian’s boyfriend. If you don’t personally like to keep up with the Kardashians, here’s what happened: the Cleveland Cavaliers star was dating Khloe Kardashian, the mother of his second child, when he had an affair with the best friend of Khloe’s sister, Jordyn Woods. This brought up major controversies concerning the Kardashian family, such as how once Khloe was the Jordyn to Thompson’s last relationship – he left Jordan Craig, his pregnant girlfriend at the time, for Khloe Kardashian – as well as how Woods shouldn’t be with Thompson knowing he was with Khloe. There is no need to explain why everyone had a lot to say about the scandal. The whole internet was flooded for days with comments and opinions on the matter – and that’s the thing nowadays, everyone feels the need to share their opinion. With the help of tabloids and social media, people’s lives are in the public for everyone to see. There’s always something being said about some artist, singer, actor or influencer somewhere. That amount of access to information, be it legit or fake, gives an open window for people to talk about how they feel and think about what famous people do or don’t do with their lives and money. It is a power that can easily get out of control. People waste so much time arguing about matters that don’t involve them at all – as if their small discussion over if Kylie Jenner should’ve kicked Jordyn Woods out of her house or not would change something for either of those people. The way social media flows gives the idea that people are closer to celebrities than they actually are. On apps like Snapchat and Instagram, you can see any celebrity’s stories and posts just like you see your friends’. With interactions like this, people start to lose the common sense of how things work. The type of intimate interactions people nowadays have with celebrities break a distance there used to be between ordinary people and celebrities. It is possible to see this as a type of escape from reality to many people. This coping mechanism is an exit from reality where, for a brief time, adult problems don’t exist – and it is almost comical how celebrity problems are so different from real-life problems that it almost seems that this select group of people live in an alternate universe. This is because of how we see celebrities. We see them as gods, so their problems and their lives are somehow more interesting than ours. Overall, it is much easier to deal with problems that don’t affect you at all. Of course, this fixation with celebrities is due to the dream of becoming famous. Keeping up with famous people, commenting and talking about their lives and problems, is a way to get closer to the feeling of being a part of the famous crowd. Since that’s a status that there’s no right path to, most people can only imagine of getting there – and while doing so, people read news about celebrities and follow them on social media. 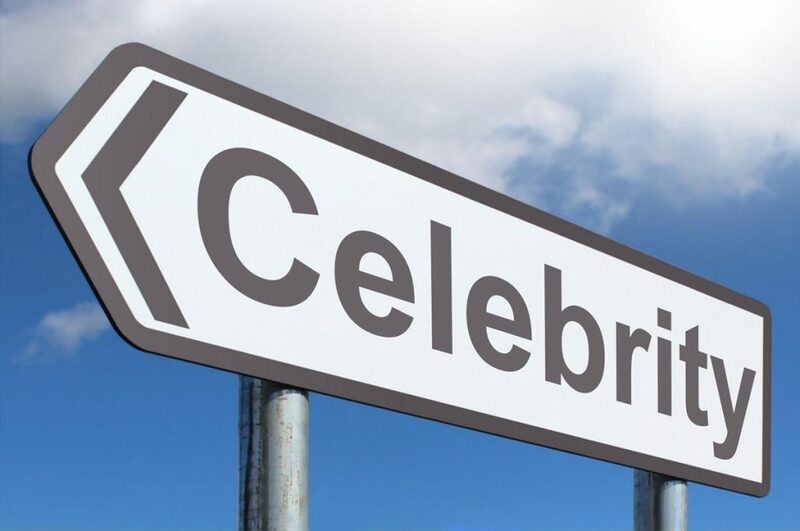 We have gotten to a point where celebrities’ problems have also become entertainment – people not only want to spend their time discussing famous people but also enjoy sharing their opinions and reasons behind it. And it does not end with celebrities’ problems – it goes on to their personal life choices, beauty choices and where they should go for their next vacation. The interesting part of all of this is how every time a really scandalous thing happens, as people share their thoughts on the matter, you can get to know them better on their ideas and general opinions. For example, when the whole Woods-Thompson scandal came out, people started to share their opinions on cheating and cheaters – something that is not usually discussed in small talk. Overall, it is somewhat interesting to comment our thoughts on frivolous events like this to take the steam off from our everyday problems and to just give ourselves a mental break. But people should learn how much is too much when it comes to caring about someone else’s life, especially when it is someone you don’t know.